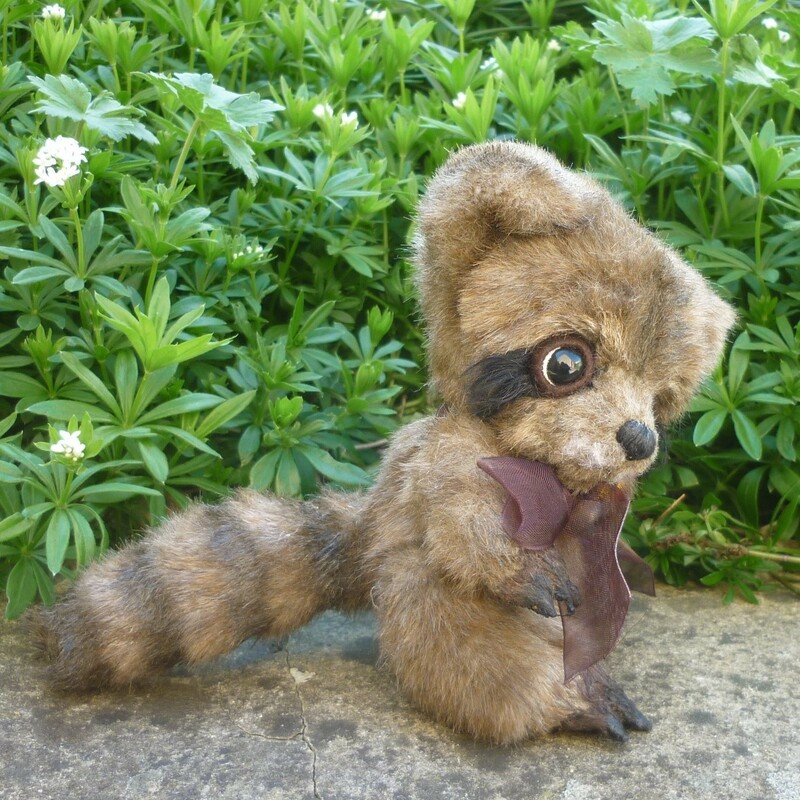 Racoon Shoyo is made of brown plush with airbrushed detail around his tail, eyes, paws and feet. 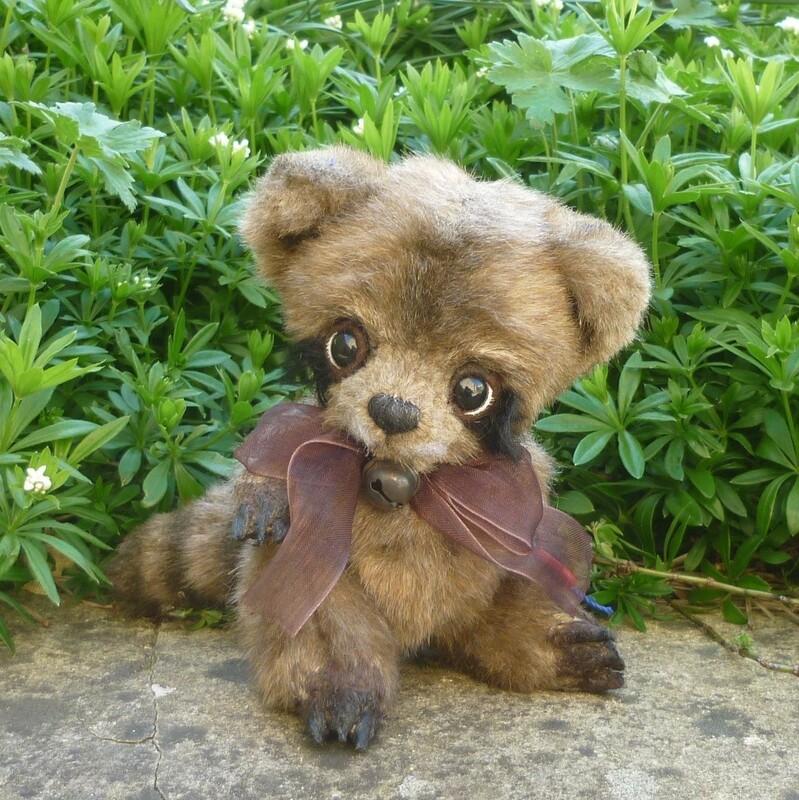 He wears a brown ribbon with bell and is softly filled with polyfibre and plastic beads. Designed by Russian artist K Bespalova.